In previous articles on The Well Blog we have praised the effectiveness of the Flush Mounted Spider and the Automated Slips Lifter. I would say efficient casing running is their middle name. 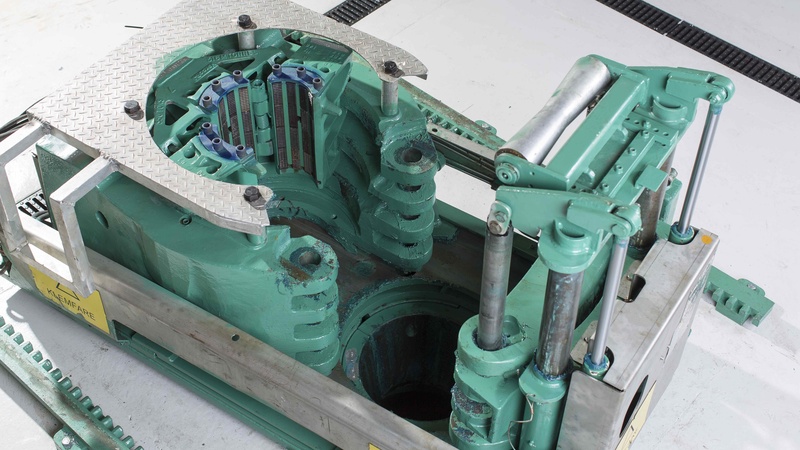 The nature of their automated, remotely controlled operations is a blessing for the health of the operators, the speed of the casing process and the economy of the project. Running casing suddenly became a one-man operation beating the heck out of four guys slamming the slips in and out. 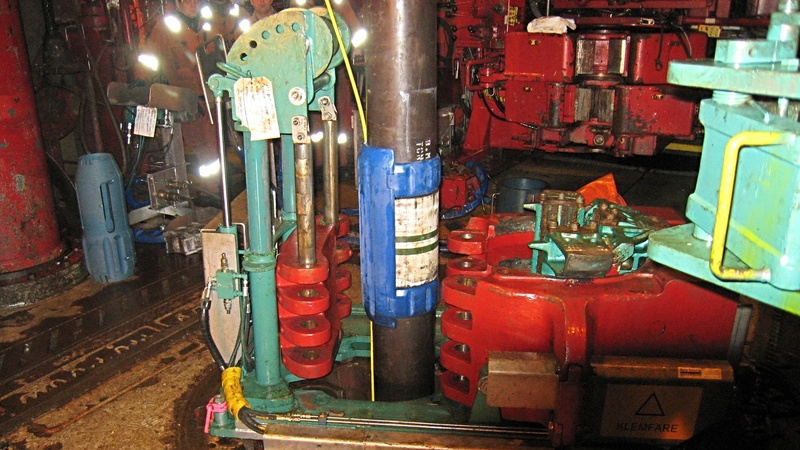 So, when you finally have your liner in place, you would appreciate to benefit from the same technology when running your well completion string. And you would if it wasn't for those dreaded cable clamps you attach to the string to keep your cables in place. Those clamps also need to pass the bushings which suddenly turned out to be too narrow. A brilliant, dedicated tool comes sliding in to your rescue: The Sliding Spider - handling the large completion strings ranging from 4 1/2 - 13 3/8. First of all, you'll embrace the access to full opening through the master bushings. That means 20 wide open, spacious, inviting inches to run the heavily pimped string through. Another feature you'll appreciate is the guide roller that keeps all your cables in front. That could easily mean 10-15 cables - not to mention a large OD umbilical following the landing string - perfectly guided through the rotary after the spider has remotely slided away. In other words, you get to keep your seat in the drillers cabin; you'll have one of the fastest pair of hands in the business; you will not worry about your collegues working in the red zone; you will not worry about your collegues at all, becasue they will not be needed on your shift; and your back will thank you for not having to lift bushing in and out a zillion times during completion. Why isn't everyone completely overwhelmed by this brilliant solution, and why isn't there a long line of clients outside every OWS-office around the world, fighting to get their hands on this lovely piece of well-thought and well-crafted tool? Well, the Sliding Spider is popular, but there have been limitations to its use. When using an OWS Scissor Table, the Sliding Spider is too high to fit underneath the back-up tong. However, an easy refitting is all it takes to solve the problem. We customize the Scissortable so the Sliding Spider can be a part of the initial rig-up and at your disposal when the completion begins. 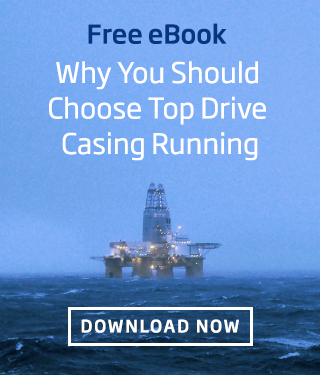 In the North Sea, there are some deepwater-fields that require advanced completions. On Ormen Lange we have run all completions using the Sliding Spider with 5 1/2, 7 and 9 5/8 strings. All of them with 13,4" OD clamps and 3" umbillical. It has shown excellent performance and with the obstacle of the Scissor Table removed, there should be no reason why you should limit your project from the benefit of the Sliding Spider. 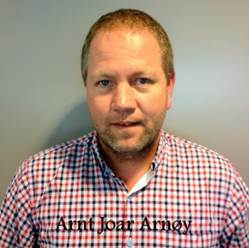 Arnt Joar Arnoy has more than 25 years’ experience from the oil and gas industry. Holding positions as Workshop Mechanic, Service Technician offshore, Operation Engineer onshore. He is currently Operation Manager for OWS in Norway.